I thought I’d write a positive post to offset the negativity of my last post. I had my nails and brows done by the lovely Kayleigh at Glamour Devon Make Up and Beauty. 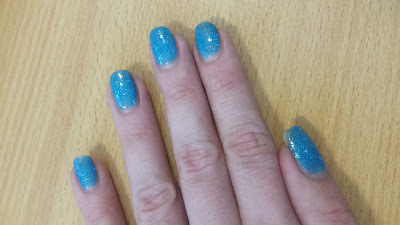 I’ve gone with colour changing shellac. 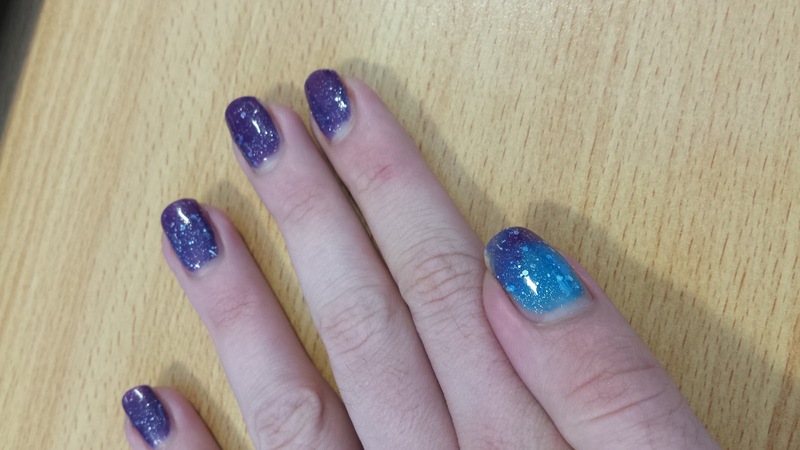 When cold my nails are purple and when warm they turn blue. It looks like space with the glitter!